It is availble through Amazon... Click here to go there. 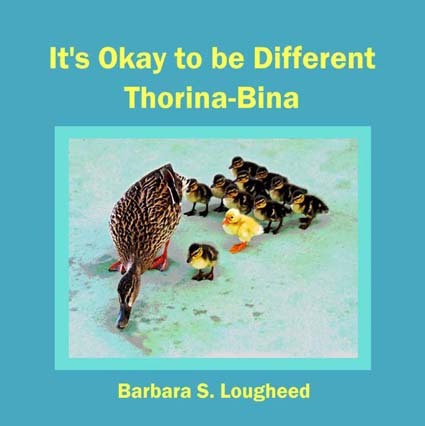 Thorina-Bina feels all alone because she's so different from her mother and sisters. She's a tortoise-shell colored cat, while the rest of her family are striped tabby cats. She looks and acts differently, and her sisters make fun of her. She also has keen eyes and ears, and sees and hears better than the other cats. After she meets an old gopher tortoise, a lizard without a tail, an armadillo with poor eyesight, and two very different dogs in the forest, she learns that everyone is different in their own way. 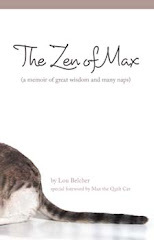 This book combines a funny story with adorable animal photos to convey its message of self-acceptance. Teachers can use the story to start discussions about being different, bullying, disabilities, self-respect, self-esteem, and most of all, tolerance for others. Kids may feel more comfortable participating in a discussion about animal differences, instead of differences in kids their own age. In the end, Thorina-Bina learns that it's okay to be different . . . she's just a different kind of cat.